Doha announced Friday that Ankara arrested five computer hackers believed involved in May hacking of Qatari news agency QNA, which sparked the diplomatic row between the tiny gas-rich country and its neighbors. “Our friends in Turkey answered us a short time ago. Five people were arrested and they are being investigated. The prosecutors in Qatar are working with the Turkish authorities to follow this case,” said Ali al-Marri, Qatar’s general prosecutor. Saudi Arabia, United Arab Emirates (UAE) and Egypt in May blocked all Qatar-linked news websites, including al Jazeera, over incendiary comments attributed to the Qatari Emir Sheikh Tamim bin Hamad Al Thani. In these comments, the Qatari ruler would have called Iran an “Islamic power”, described Hamas and Hezbollah “resistance movements”, and said that “President Trump would not remain long as US President over domestic challenges”. 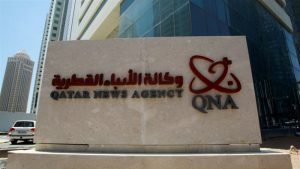 Qatar quickly responded saying that hackers broke into its news agency’s website and its Twitter feeder to post the fake remarks. The small gas-rich country vowed to hunt down the hackers and called on US and British experts for help. Qatari authorities also noted they were convinced Saudi Arabia, UAE where behind the hacking. The hacking preceded disruption of diplomatic relations in June by Saudi Arabia, UAE, Egypt and Bahrain and the cutting of air, sea and ground links with Qatar. Last month, Doha lambasted UAE for plotting the hacking after the Washington Post revealed that unnamed security official noted that they had no doubt that Emirati officials were involved in the hacking. The US media indicated that US intelligence officials learned that senior UAE government officials discussed the planned hacking on May 23, the day before it occurred. The crisis brought closer Qatar and Turkey. Ankara, in the wake of the crisis, endorsed a parliament vote to bolster military presence in Qatar, arguing that the move was part of a military cooperation deal between the two countries. Ankara also helped shore the food shortage that erupted following the cut of air, sea and ground links. Turkey airlifted tons of food stocks into Qatar. Posted by Jaber Ali on Aug 26 2017. Filed under Gulf News, Headlines. You can follow any responses to this entry through the RSS 2.0. Both comments and pings are currently closed.